The beach is definitely our best feature here in southwest Florida, but sometimes you need to get out of the sand to have fun in the water. 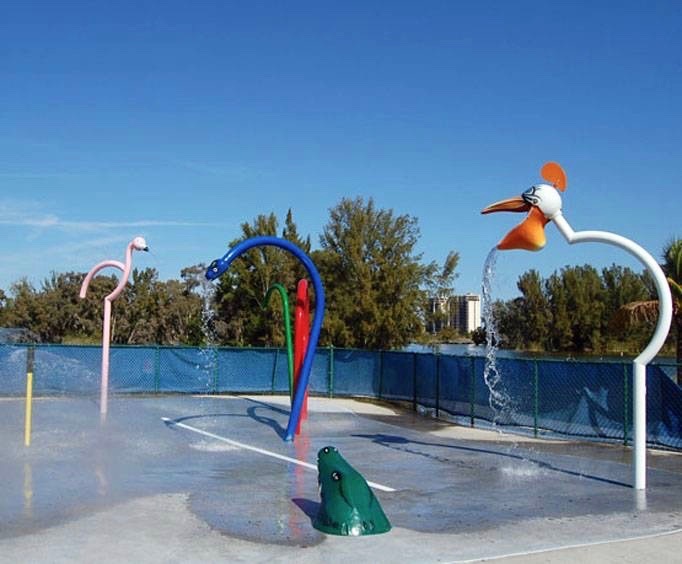 Cape Coral, Naples, and Fort Myers are all home to some great water play parks. 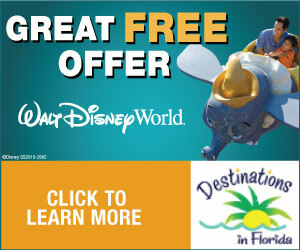 On top of big water parks with slides and lazy rivers, we also have a few amazing free options for water fun. With more than 14 acres of attractions, this huge water park has something for everyone. 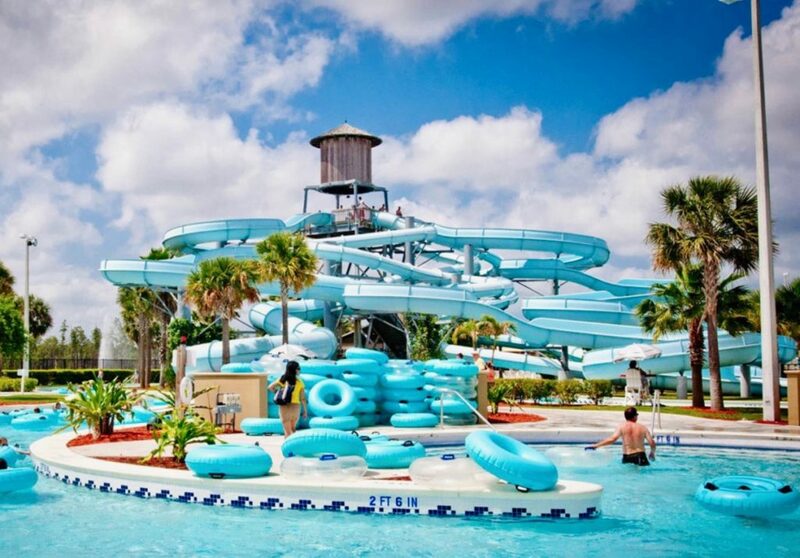 Whether your family wants to relax on a lazy river ride or get an adrenaline rush on a high-speed flume, each member of the family is sure to have a blast at the Sun Splash Water Park. 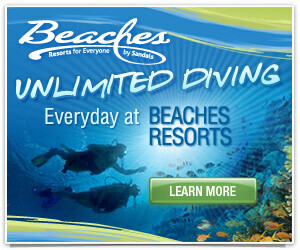 There are so many attractions, you could spend the entire day exploring. The park is open weekends from March to September. Fellowship Park is located at Cape Christian Church. Open to the public seven days a week this park features two shaded play areas and a splash pad as well as basketball courts. There is also a café right in front of the splash pad where you can sit and watch the kids while they cool off. There are quite a few fun things to do at Lakes Regional Park, including miniature train rides and paddleboards, as well as a place to go when your kids are ready to have some water fun. The park is home to great two splash pads with fun fountains for your kids to run through. 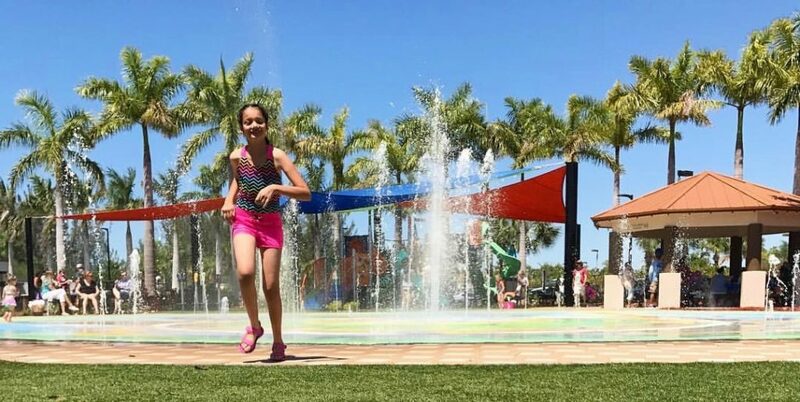 This Fort Myers park is free, and the splash pad is open from 9 a.m. to 5 p.m. in the spring and summer. 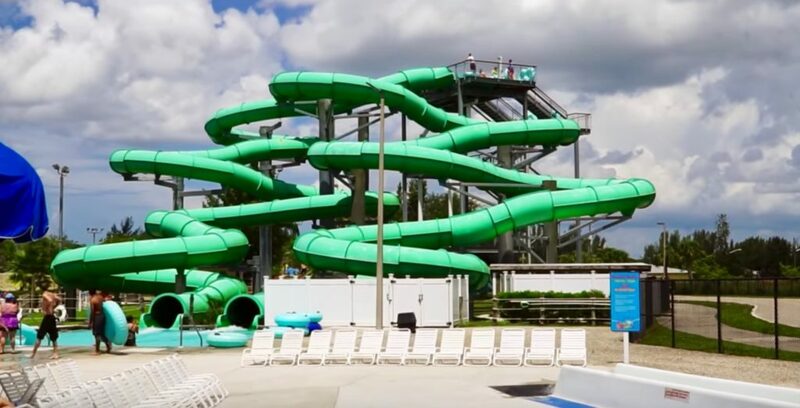 The attractions in this fun water park hold one million gallons of water! In addition to five water slides, Sun-N-Fun Lagoon also features a 1,250-foot long lazy river, two pools, and separate play areas for toddlers and older children. Food and drinks are available for purchase at the park, and life vests are offered to guests free of charge. The park is open seven days a week from May 29 through August 14 and weekends from February through May 27 and August 15 through October 1. 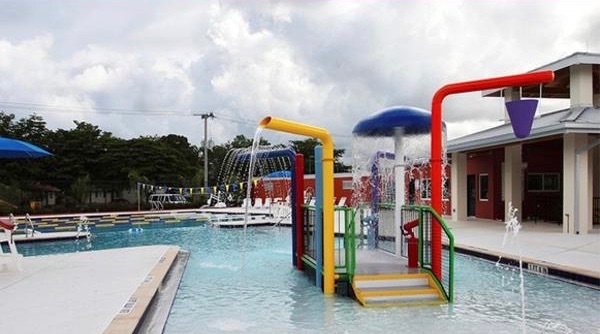 The River Park Aquatic Center features an awesome pool area with a ton of fun water features to enjoy. The pool is open year-round and is heated during cooler weather and cooled during the hot summer months. When you’re ready to take a break from the pool, the park also includes a shaded pavilion with fans and vending machines. The park is open Monday through Friday from 9 a.m. to 6:30 p.m. and Saturday from 9 a.m. to 4 p.m. This traditional park in Naples features a fun interactive water feature that children can play in on a hot summer day. A new aquatic center with a family pool and two water slides is scheduled to open this summer. While you’re at Eagle Lakes Community Park, you can also enjoy the playground, nature trail, and picnic shelter. The splash park is free and open daily from 8 a.m. to 10 p.m.